Let your child know teeth brushing is not optional and is a part of their daily routine. They should know that they’re required to brush their teeth every morning (before or after breakfast is up to you) and every night before they’re tucked into bed and read a story. This way, even if it’s still not their favorite thing, they will know brushing their teeth is one of their responsibilities. Make sure you explain how good dental habits keep your child healthy! Playing music while brushing teeth adds a calming and enjoyable sensory component to this task. Music can also be used as a timer so your child knows exactly how long they need to brush for. This is especially useful if your little one typically brushes their teeth for 10 seconds, instead of the recommended 2 minutes. You can even try using a musical toothbrush to make this activity more fun. Your child can press play themselves, start brushing when the music starts and finish when the tune ends. Otherwise, sing a song to keep them brushing and make it a little more fun! After you’ve finished brushing your toddler’s teeth, use pretend play to teach them more about teeth brushing. Tell them it’s their turn to do the brushing. Grab their favorite doll or stuffed animal and have your child “brush their teeth” to keep Dolly’s teeth healthy too! But remember, toothpaste is required for your child, not the doll! If your child is at an age where they want to do everything themselves, let them do the brushing first. Be sure to watch them carefully so you can hit where they missed after they’re done brushing themselves. This helps give them some control by going first. You can also watch to see if they move the brush up and down, left and right, or in circles and mimic that pattern to make the experience more comfortable for them once you take over. The American Academy of Pediatrics (AAP) recommends using toothpaste the size of a grain of rice for children under 3 and the size of a pea for children 3-6 years. The AAP also recommends toothpaste with fluoride. Make sure to supervise your child since toothpaste with fluoride is not meant to be swallowed. If your child struggles around teeth brushing time, a few small changes can make the experience more enjoyable. Try using warm water! The shock of cold water could be a bit off-putting and a simple adjustment of temperature could make all the difference. Change the toothpaste flavor. Try fruity, mint, and unflavored. Sometimes dentists will offer patients samples or you can get travel sized tubes of toothpaste while you’re testing out what your child likes best. Brushes can also be difficult for children with sensory issues. 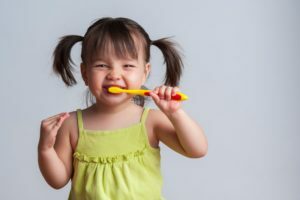 You can use a soft-bristled brush or start off by using a washcloth to help your little one get used something touching and cleaning their teeth. Go electric. Some kids don’t like standard toothbrushes, but using an electric toothbrush can work wonders. The consistent motion can be calming for them. There are lots of ways to make this task more fun for young children! Tap into technology and use an electric toothbrush or one that plays music. Or, make simple adjustments like switching from brushing with cold water to warm water. Get your little one excited about brushing their teeth by letting them pick out their own toothbrush and helping them pretend play teeth brushing time with their favorite doll or stuffed animal. For young children, it always helps to turn daily tasks into fun games! 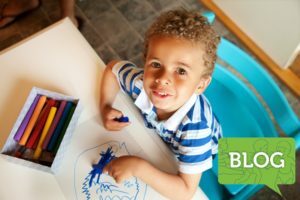 Try out these tips and let us know what works for your child! 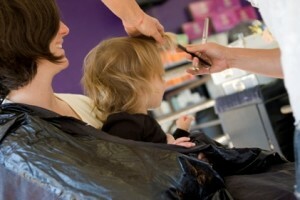 Make haircuts more comfortable for your child. 5 tips for before and during the haircut. These tips will be especially useful for children with sensory processing issues. Use these 6 activities to help your child wind down for the evening. Evenings are great opportunities to spend quality time as a family.